Not only on Diwali, but these ideas will work for any occasion. The inspiration to work on this post was a simple idea that I used at my Daughter's 5th Birthday Party (at Woode's Cafe) this October. 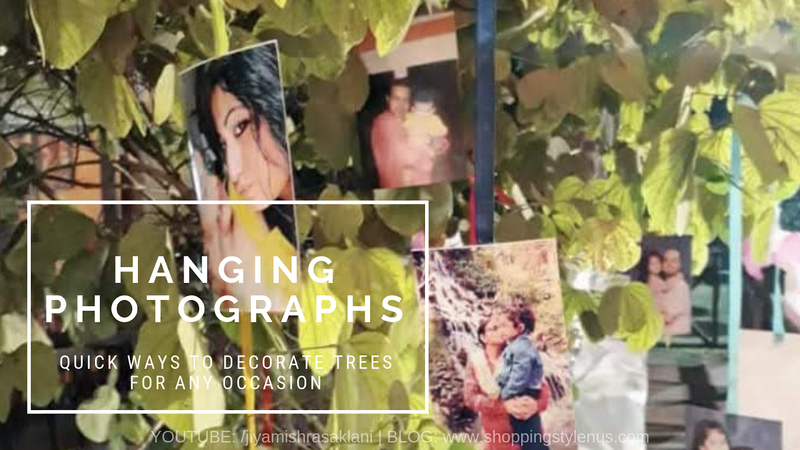 The idea was to hang her photographs on the trees that were planted at the entrance of party venue. Apart from that one which occurred naturally to me and I had not seen anywhere earlier, the rest of the ideas are borrowed from here and there on the internet or some real-life parties and events. Let's jump ahead! 1. 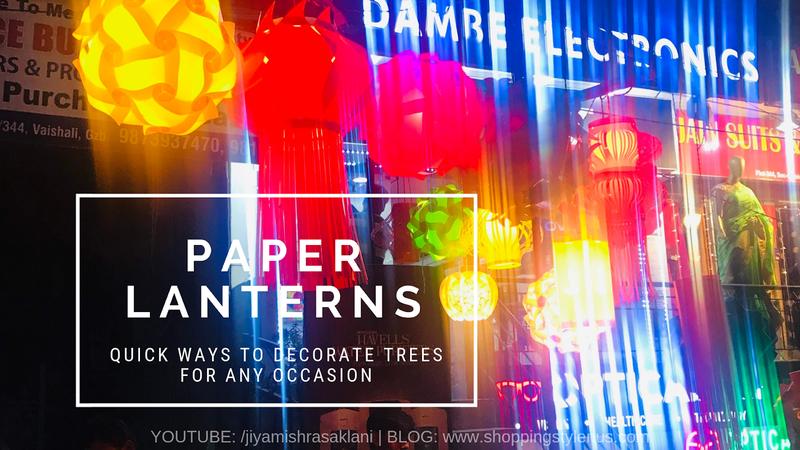 Paper and Plastic Lanterns! 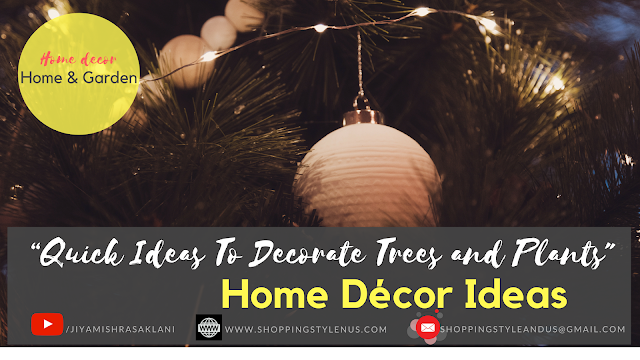 This is the most common trick to decorate the trees or plants around us. The best part is they are now available widely in all cities, however, they can be seen frequently only during festivals like Diwali. I bought my first paper lantern in Goa for Rs.300 something, and I can't be happier to admit that you can now buy these for as cheap as Rs.50. 2. Canvas Lanterns and Flower Strings! This picture is borrowed from one of my colleagues taken during this year's Diwali celebration in my company. 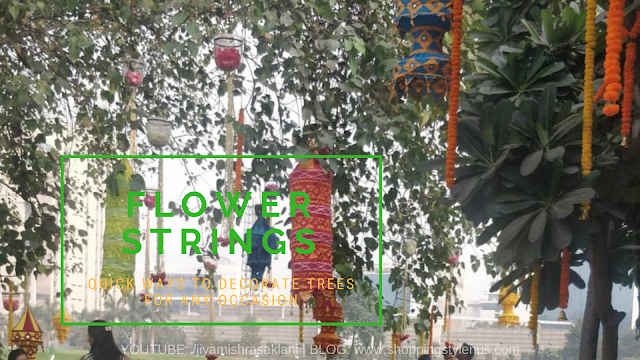 I really like the flower strings with colourful lanterns/kandils made of cloth/canvas. While flower strings can be bought at the nearest flower market or temples, the fabric lantern is exclusively available at some specific shops. You must check or Google to find one in your city. In New Delhi or NCR, I think there are a few places where you can buy them - Dilli Haat, INA Market, Janpath, Lajpat Nagar etc. 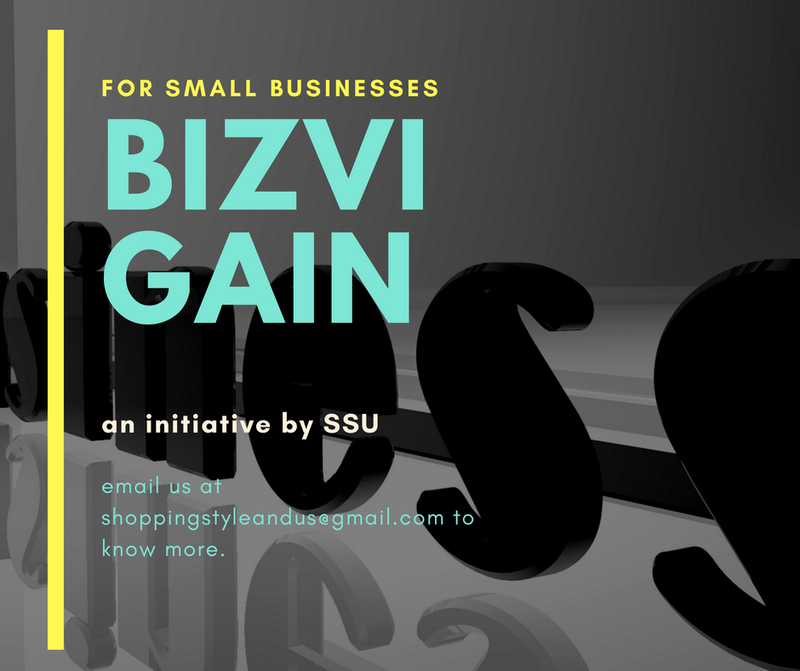 Subscribe to SSU to know more about these shops as we find! These tea-light / Diya holders made of glass. I found them at Diwali Fair/Diwali Mela in Vaishali, Ghaziabad. Priced at Rs.280 for 1 and shopkeeper was ready to reduce the prices too. I could have scored it in Rs.150 or so if I wanted. On top, it looks really elegant and could be used at multiple places. Bummer that I passed it. But just imagine these hanging on your trees and some mid-size plants!! Wow!! This wasn't my first idea! I wanted to use her drawings, scribbles and doodles first which was followed by the idea of hanging some hard copies of pictures from Goa through a website called 'Zoomin'. But hanging only those pictures did not feel right. I wanted to use more in which Reet was caught with her friends and family members by the camera. Cute, right! I would give myself a pat on the back because I had never seen it anywhere and everybody loved it. I did not even search if it was used by others too because I am pretty sure it is! I would still give myself a credit as I present this post to you guys. 5. Hang Scarves or Tie Ribbons! This could be a very common yet the prettiest and happiest decoration of trees and plants ever! For some reason flowing ribbons and fluttering scarves make a tree look really happy and fun. Yes, this is how I add some emotions to visibly non-moving and expression-less things'. However, let me add that I don't find anything emotionless at all after knowing the Law of Attraction and reading about energies. Also, you must check out my favourite Youtube CHannel by the coolest and most knowledgeable Justin Perry and watch the video in which Justin demonstrates the sound of plants using a tool. Back to the main topic - decorating plants and trees. 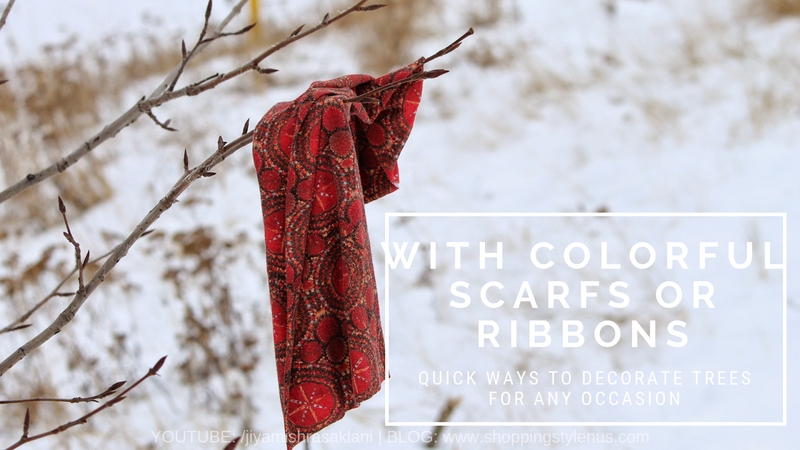 Add some ribbons or scarves and choose the old ones lying around! This is one is another common one but really colourful and easiest to do. 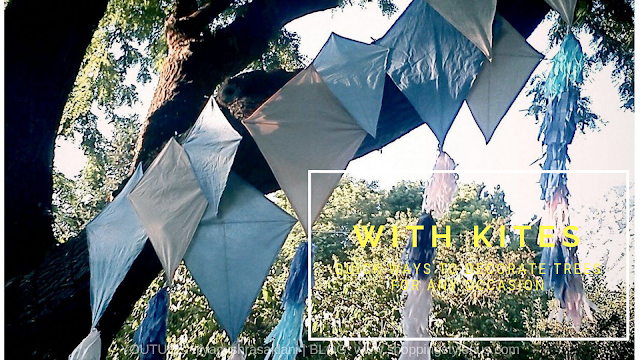 Kites are available widely at all shops, and you can also make your own by using different types of papers. Give them shape by using some wooden brooms or Seek Ka Jhadu which is a common household item to clean the house and give a good beating to the naughtiest kid. Ask me how it feels and I am not complaining! 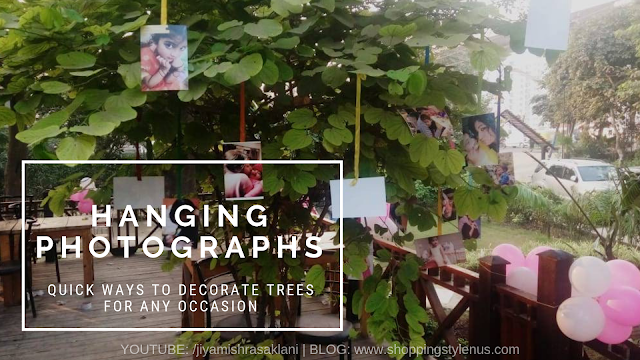 It's a real quick creative, DIY, home-decor kind of post about decorating trees and plants using or re-using different items. 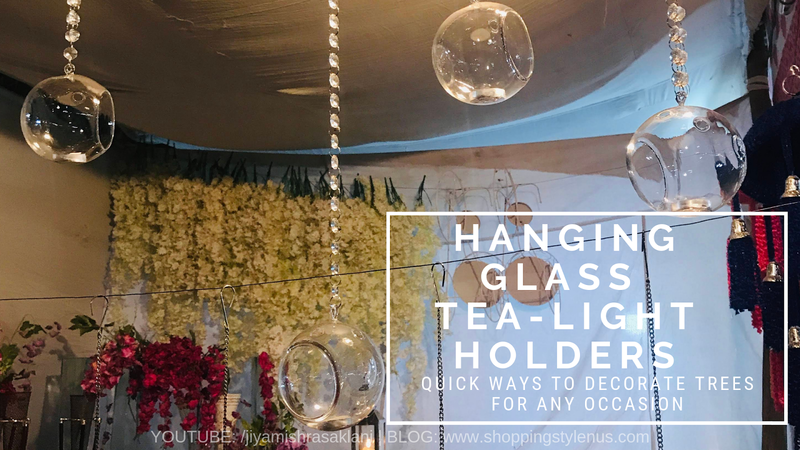 I have worked on this around 4AM on Dhanteras because I wanted to bring it to you guys before it was Diwali and I had been really busy these days. Guess what? It' already Choti Diwali though! Wish you all a very Happy Diwali. Please let go of any grammatical mistakes and get the idea and soul of this post. Signing off now! Please comment about any other ideas we should know about and have not mentioned here!